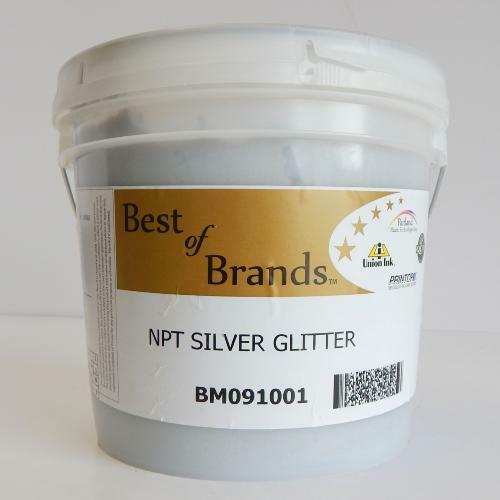 NPT SILVER GLITTER gives a sparkly silver glitter effect that will provide a glittering textured metallic like finish when printed directly on textiles or used in transfers. Glitter Inks are extremely flexible and give a bright clean finish on the garment. A screen mesh count no higher than a 43T is recommended for this product.